2007 release from the London duo who, as pioneers of jungle and drum n bass, they massively changed the face of 90s music and made a huge contribution to dance culture. 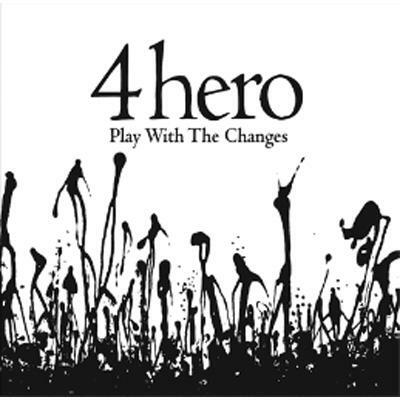 Play with the Changes is their first album for six years in a career that has gained critical acclaim, a Mercury nomination, MOBO award and widespread respect from the music fraternity. It is 4hero's duality of approach which makes them truly unique. This album is richly textured and musically complex. Fluttering, delicate beats mutate into orchestral excursions. Strings and live drums give way to abstract sounds and disjointed electronica. It features a role call of superior vocalists of the quality one has come to expect from 4hero, including Carina Andersson, Ursula Rucker, Jody Watley, Bugz in the Attic's Kaidi Taitham, Phonte of Little Brother, Jack Davey (J*DaVeY) and Larry Mizell (who has written and produced for the Jackson 5, Marvin Gaye and countless others) join a host of new evolving talent. 15 tracks. Raw. 12． Why Don't You Talk?